He was the lead singer of The Smiths, one of the most influential alternative bands in the 1980s. The group split up in 1987 and Morrissey started a successful solo career. His second album 1991's Kill Uncle was not as well received as his first, with neither single achieving the Top 20. In 1992, the Mick Ronson-produced Your Arsenal was released and included singles such as "Tomorrow" and "We Hate It When Our Friends Become Successful". A live album, Beethoven Was Deaf, followed in 1993. 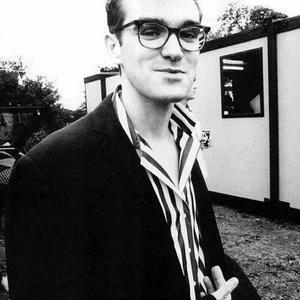 In 1994, Morrissey released Vauxhall and I, which contained "The More You Ignore Me, the Closer I Get", his biggest hit in the United States, where it peaked at #46. Later that year, Morrissey also recorded a one-off project with Siouxsie of Siouxsie and the Banshees: they sang in duet on the single Interlude. After "Vauxhall and I", Morrissey released Southpaw Grammar (1995) and Maladjusted (1997), both of which failed to produce a UK Top 20 single. A period of musical inactivity followed in the late 90s and early 2000s, which was due to failure in finding a suitable label, according to a 2004 interview with Jools Holland. After seven years without a new album release, You Are The Quarry was released on May 17, 2004 (but one day later in the USA). The first single, Irish Blood, English Heart, was released internationally on May 10, 2004. The single reached number three in its first week of sales in the UK singles chart. To date, this is the highest placing chart position for Morrissey in his entire career as both a solo artist and the lead singer of The Smiths (the 2006 release You Have Killed Me also debuted at number three in its first week in the charts). It has sold over a million copies, making the album his most successful, solo or with The Smiths. Ringleader of the Tormentors, produced by former David Bowie producer Tony Visconti, was released in April 2006. The album went straight to the top of the UK Album charts. Morrissey released a new Greatest Hits collection in February 2008, including two new songs: All You Need Is Me and That&rsquo;s How People Grow Up, both released as singles. Morrissey is now signed to Decca Records. In 2009, Morrissey released his latest album, Years Of Refusal, which was produced by Jerry Finn, his final production credit before his death. Later in the year, Morrissey released the B-sides collection Swords. 2009 also saw the re-releases of Maladjusted and Southpaw Grammar, two of his most critically maligned albums. The Maladjusted re-release ditched two of its singles, Papa Jack and Roy's Keen, in favour of several other tracks from the period, such as I Can Have Both. Sorrow Will Come In The End, written about Morrissey's vicious legal battle with Smiths drummer Mike Joyce, was also re-instated to the UK edition. Southpaw Grammar retained all of its original tracks, albeit re-sequenced, but recieved the addition of other tracks from that time period, including the new album closer Nobody Loves Us. Two other Morrissey releases came in 2009; The HMV/Parlophone Singles '88-'95 and Swords, the former a 3 CD compilation of singles and B-sides from Viva Hate through to Vauxhall and I, the latter a compilation of B-sides from You Are The Quarry, Ringleader of the Tormentors, and Years of Refusal. A new Very Best Of collection is due for a 2011 release, accompanied by a forthcoming UK tour.